Normandy Life: Mosaic Monday # 9 - autumn in the garden. Mosaic Monday # 9 - autumn in the garden. 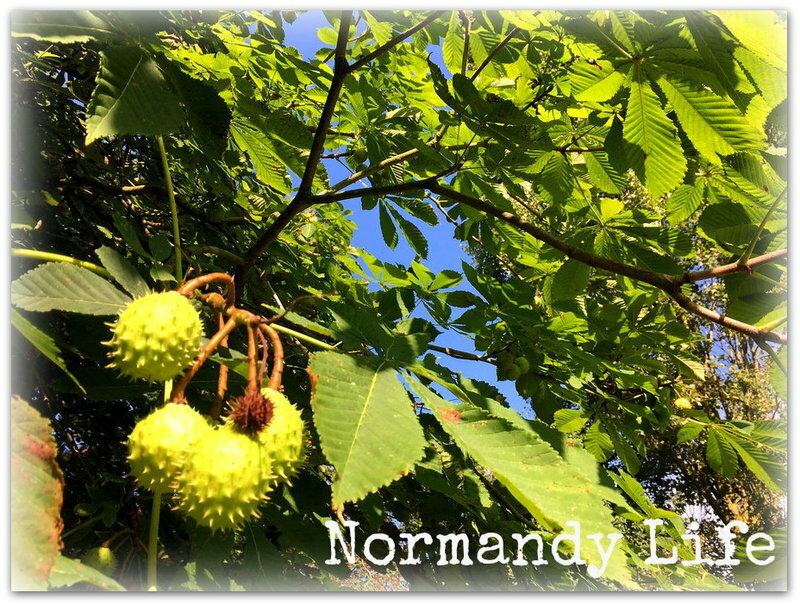 We haven't quite reached the "fall" stage of Autumn here in Normandy, although it's very dark in the mornings when we wake and the nights are drawing in, our garden chores are still about pruning and tidying. In the kitchen I've been busy using up the last of the courgettes, apples, plums and green tomatoes. The green tomatoes came as a huge surprise because this year I didn't plant any! Two plants self seeded themselves in amongst the sweet pea seedlings that I grew for the first time next to the kitchen door, they may not have ripened but there have been plenty of them. I have high hopes for at least one dish of fried green tomatoes soon. 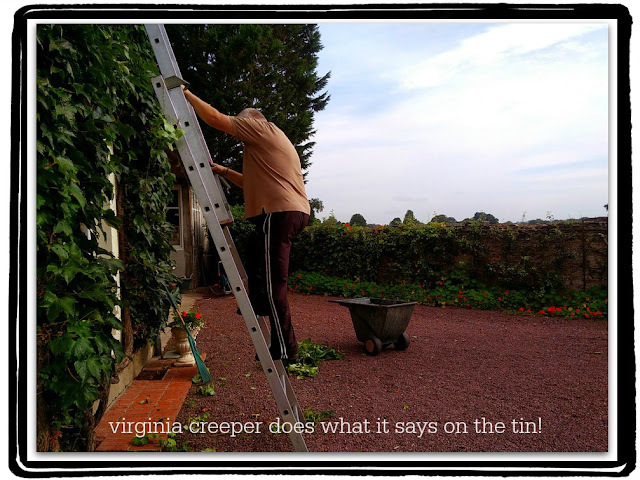 Your weekend looks very similar to ours - garden clean up time! It's not all done yet, but we're well on the way. How fun to have some volunteer tomatoes - perhaps some will ripen on the window sill. And fried green tomatoes are delicious! Thanks for hosting, Maggie. Maggie, it is nice to see you are still harvesting a garden bounty! Autumn is definitely settling in here--the leaves are all turning gold and orange and the days are getting cooler. 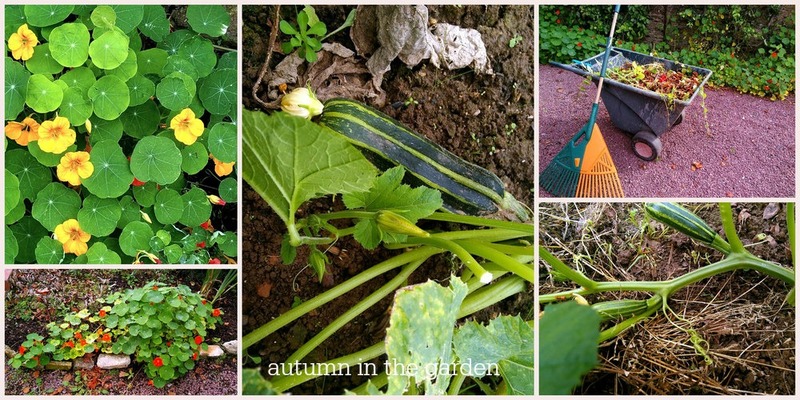 Autumn is a busy time in the garden! Your green tomatoes look delicious! Garden clean up around the world, today I head out to cut back peonies and hostas that struggled this summer. 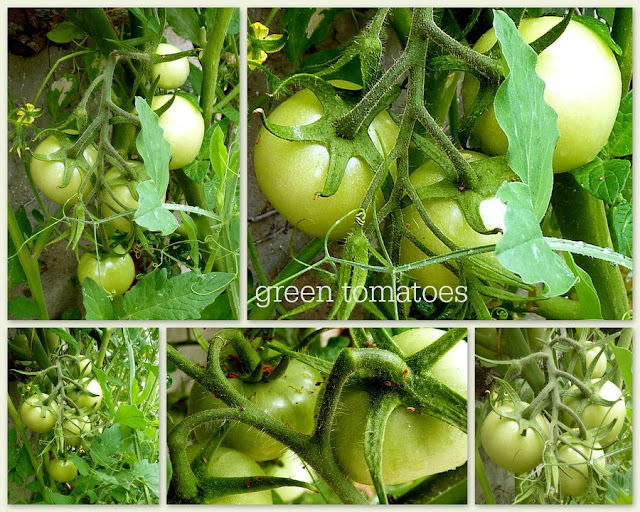 I haven't had fried green tomatoes for years, a nice surprise gift from your garden! Thanks for hosting MM Maggie. The Fall weather set in over the weekend, so garden clean up is top of the list, but probably not till tomorrow as it is supposed to rain today. I'm back to Mosaic Monday after a few weeks away while we were visiting family on the other side of Canada. Hello Maggie, it is so nice to have these surprise tomaotes. We are having some chillier weather, it feels like fall. The short daylight is the one thing I do not like about fall. Love the images and mosaic. Thanks for hosting. Happy Monday, enjoy your new week ahead! There's so much to do in the Fall to get ready to put everything to bed. Enjoy your week! Happy M M! We've been slowly cleaning garden and containers around here..
We bought tomato plants the other to plant for summer. Hoping for a good crop. I always make tomato soup and freeze to make minestrone during winter. Have a great week and thank you for the link up. You have a bountiful garden. Fried green tomatoes --YUM! My granny used to pickle green tomatoes, too. Double YUM! Thank you for hosting and I'm looking forward to some fall temps! Just lovely. My first taste of fried green tomatoes was in Georgia, and they were wonderful. I've never tried to make them myself. as usual you charm me with your so beautiful posts ! I love this time of the year! 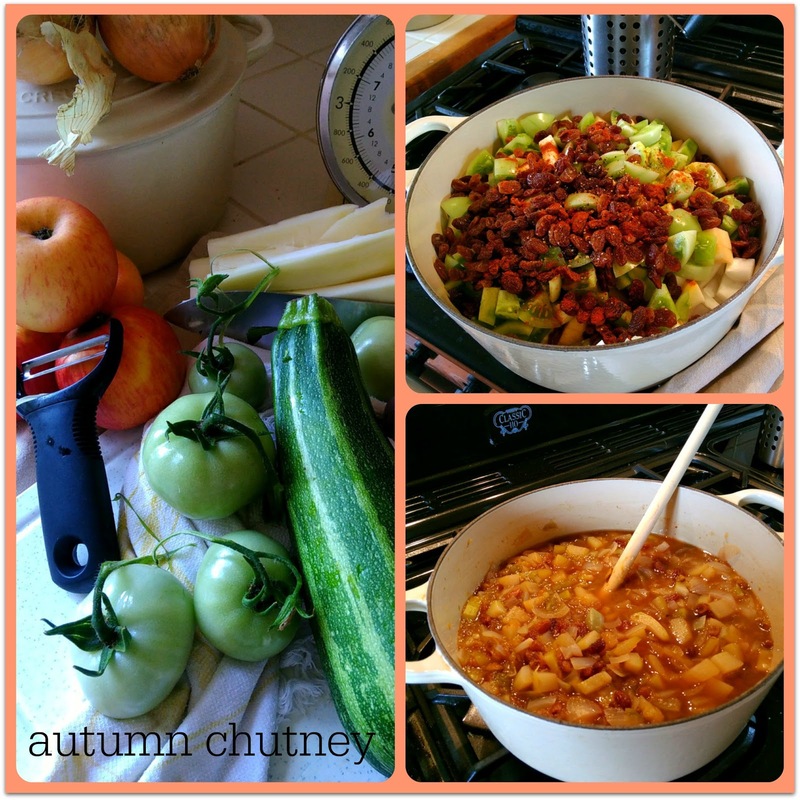 Your images and mosaics of your garden lovelies are just beautiful and I bet that chutney is delicious! Do you make fried green tomatoes in Normandy?? Thank you for hosting and have a blessed week! Hi Maggie. Thank you for the party! I am so glad to have cooler temps finally - now I can actually wrap my head around decorating for all! My goodness, tomato plants are a very nice surprise. We used to bring the vines in and hang them in the garage just before the first frost. Sometimes they would continue to ripen...once we even had some for the Thanksgiving table . But fried green ones are delicious too and less trouble! Your fall gardens and crops are great looking! Thank you so much for hosting!